So You Think You Know Pain? Do you know what it really feels like to experience high-level debilitating computer pain and associated frustration? Have you been “bitten by bytes”? Your wrists have a spike driven through them? Your fingers are squeezed in a vice? Your hands are dipped in alcohol and set on fire? Your elbow got hit with a baseball bat? Your back just had a knife pushed into it? Your neck just met with a karate chop? Your shoulder had an anvil dropped on it? Your eyeballs are sizzling in a frying pan? Your derrière is sitting on a cactus spiked with poison ivy? Do you feel something gnawing at your flesh causing all these maladies? That gnawing is you. Yes, you yourself. You are directly responsible for allowing these disorders that attack your anatomy, causing ongoing disruption, pain, frustration and down time. It’s not because of using a keyboard, mouse, stick or whatever. It’s from not paying attention to your health and especially your pain. These insidious results are injures from everyday use of computer devices, all of which could get seriously worse if unattended. Hard to believe, is it not? You see, all these pains and symptoms affecting your well-being, getting in the way of your work, pleasure, every day activities, are the result simply of your inaction. Pain is a message to your brain from your body. Are you listening? Almost every waking moment you interact with a computer, a peripheral, device or attachment. Your office ergonomics transcends into personal ergonomics. It is not only the desktop or laptop affecting you. It is also the multitude of other devices to which humans are becoming addicted. Yes, the allure of these devices is all around us, hypnotic and enticing. Currently about 3 billion computers exist in the world. It is estimated they will soon outnumber the human population and even now many are severely attached to a computer device in some form 24/7, even sleeping with phones as these have moved from the nightstand to the bed. Truly, humankind is becoming inseparable from these machines. Entwined in both our professional and personal lives, these have become a constant companion, a friend, a conversationalist, a playmate, and a distraction, one we can access at a moment’s notice. And how do we use the fantastic devices? These things that can show us the universe, that can perform amazing feats and take our imaginations to untold levels? We adopt bad postures and pain-inducing positions of hands, arms, shoulders and backs. Our children use continual bent thumbs, rounded shoulders and bent necks as they incessantly work their smart phones and tablets. By doing this, we inadvertently damage ourselves, we invite these painful episodes. We invite the potential to be debilitated in our aging process. We go faster, faster, faster for longer, longer, longer and our bodies pay the price. Are you reading this now on a mobile phone with a bent over neck posture? Are you reading this on your computer, sitting on the front edge of your chair hunched over or slouched without any back support? Do you feel a twinge in your neck right now? Or perhaps in your fingers or in your rounded shoulders as you mouse? These are warnings, which if left unchecked, will get worse, much worse. Understand, these pain elements and gnawing also take place even when we are not connected to these devices. Hold a gallon of milk? Pick up your new born child? Do you feel these aches when performing any other innocent task or chore? 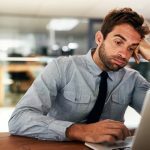 These unconsciously triggered twinges or pain symptoms are the residue of our recent interaction with computer devices. Understand, these twinges and injuries occur when we are both in session with computer devices and when we are away from them. We cannot escape their influence and should make conscientious effort to mount a rigorous defense against such peril. Yes, we are killing ourselves and soon these machines will eat us up, literally and figuratively. Maybe we should call all these little innocuous computer injury events… bites, caused by ”Biters”, more appropriately spelled BYTR. So, what’s the name of your computer? This article featured in our Fall/Winter 2016 edition of Cardinus Connect, the magazine for the ergonomics professional. Download your free copy here. Looking for a solution to beat those bytes? 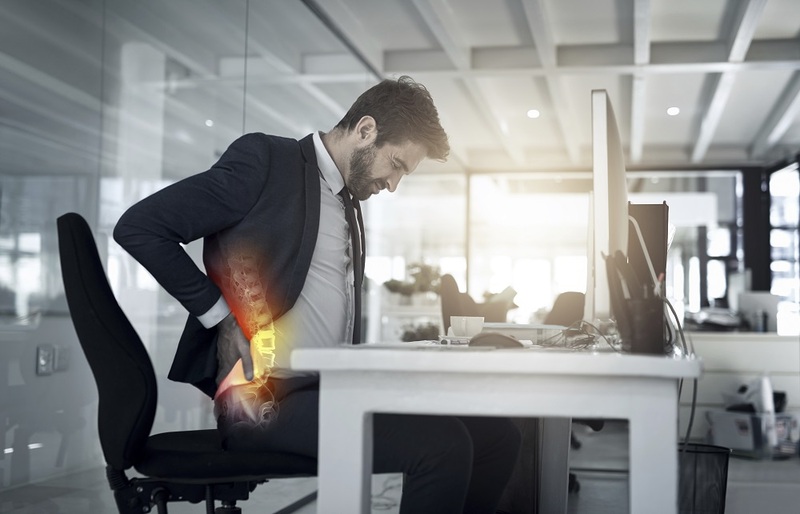 Take a look at Healthy Working, it’s our best-selling ergonomics software that helps to reduce ergonomics risk and teaches employees to proactively combat those little aches and pains.